This gorgeous 150 square foot Chicago kitchen designed by Summer Thornton hits all the right high notes. 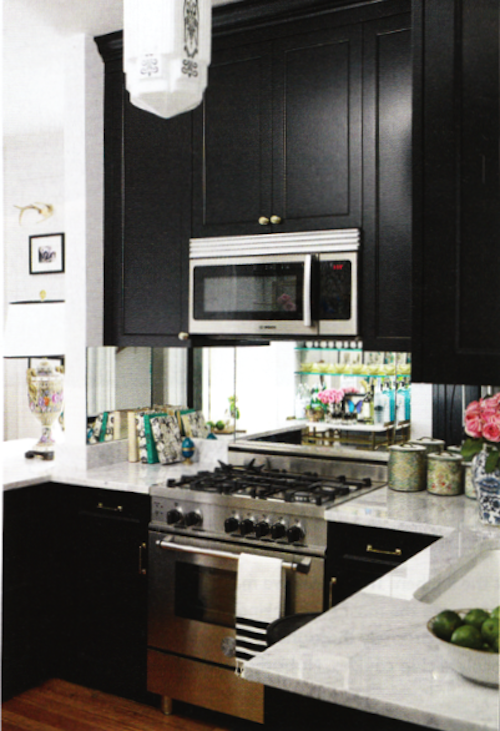 Black lacquered cabinets, carerra marble, and mirrored accents to bounce the light and make the space feel bigger. There kitchen itself is glamorous, but the vintage accents give it life, and warmth - I think this would be the favorite space of the home if it were mine! 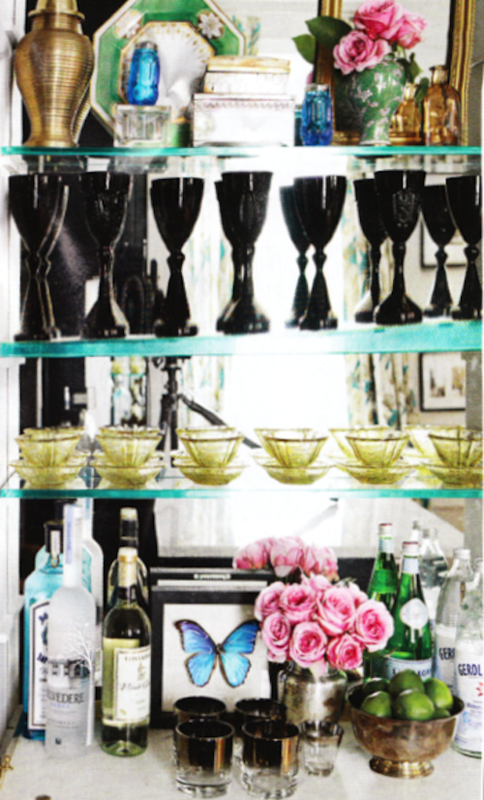 I loveed this spread and am pinning these to my inspiration files for my small kitchen! One of my all time favourite kitchens- gorgeous! 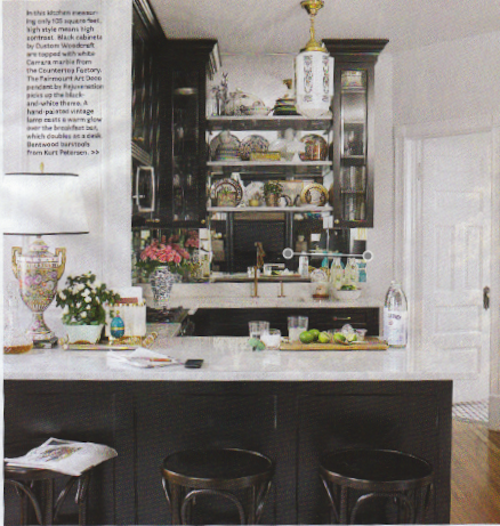 easily one of my fave kitchens of all time, despite it's size (mine's about the same!). i have probably read and reread this month's issue of HB 400+ times. i love so many of the features!